In her latest Activity Plan update, Phillippa Heath (Audience Development Project Manager), describes the fascinating conversations the team have been having (and are set to have) with farmers and individuals with different connections to the countryside, across the UK. One of our ambitions for the Museum of English Rural Life’s redevelopment is to draw out and bring to the fore the fascinating stories from our objects and collections. Some of these stories might highlight how an object worked or how it was made, but many will hint at the people behind the objects, enabling us all to understand more about their lives. These stories will be appearing throughout the museum galleries as part of our new interpretation and visitors will have the opportunity to learn about a range of individuals: from historic figures represented in our collections (such as rural mid-wife Jean Young) to people widely associated with aspects of rural life today (such as Glastonbury founder Michael Eavis). As part of this work, we are also keen to speak to as many individuals as possible who work or have associations with the countryside so that their stories too can be represented. Over the course of the last year, the Activity Plan team have been meeting with a number of individuals from across our local area of Berkshire, Oxfordshire and Wiltshire area talking to them about their practices and experiences. Since the beginning of this year, however, their reach has spread to include individuals from a further afield to ensure different localities as well as different viewpoints are represented in the stories which we will be sharing. 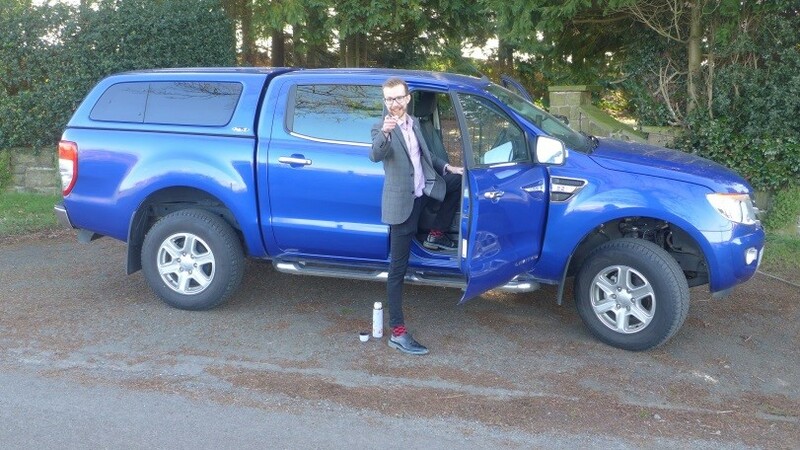 In February MERL was ‘On Tour’ in Cheshire, Shropshire and Lincolnshire with staff being privileged to speak to a range of people with rural connections. Some of these individuals were farmers. 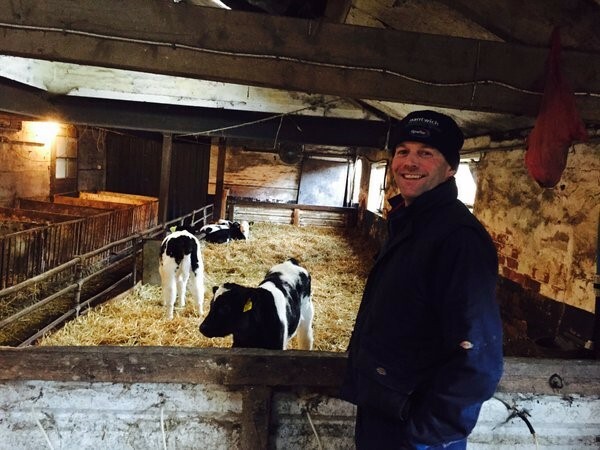 Phillip Winward, Shropshire Dairy Farmer with a small herd of sixty cows, talked about how he and his fellow local dairy farmers are overcoming the pressures currently experienced by their industry through the formation of an informal advisory group. He described how the group acts as a support and sharing network in which members compare approaches to declining milk prices and how they can increase efficiency and sustainability on their farms. 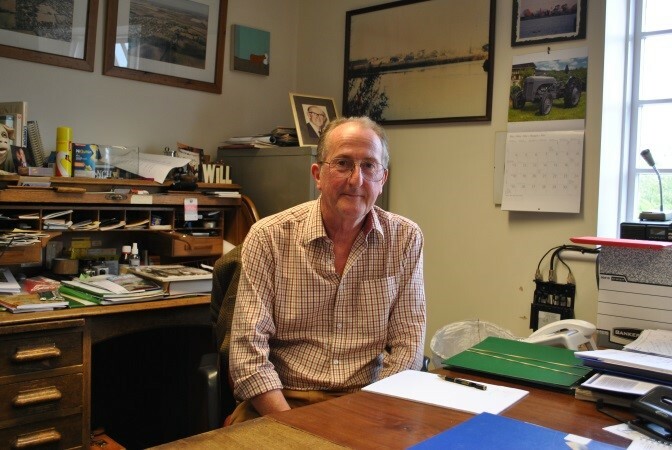 Founder of the British Quinoa Company, Stephen Jones, although from a farming background, was at the early stages of farming an arable crop not previously farmed in the UK – quinoa. He spoke about the fascinating story behind the development of his business from his early crop research trialling to now being in the position where he is managing a thriving national business working with a diverse range of growers and suppliers. Two of our interviewees were retired farmers. James and Joyce Greenfield are both Lincolnshire born and bred and still live in their farmhouse though no longer have the responsibility for farming the land. They talked to us about their fascinating personal histories in pastoral farming, shared some wonderful anecdotes from their farming lives and treated us to a wealth of knowledge and information. 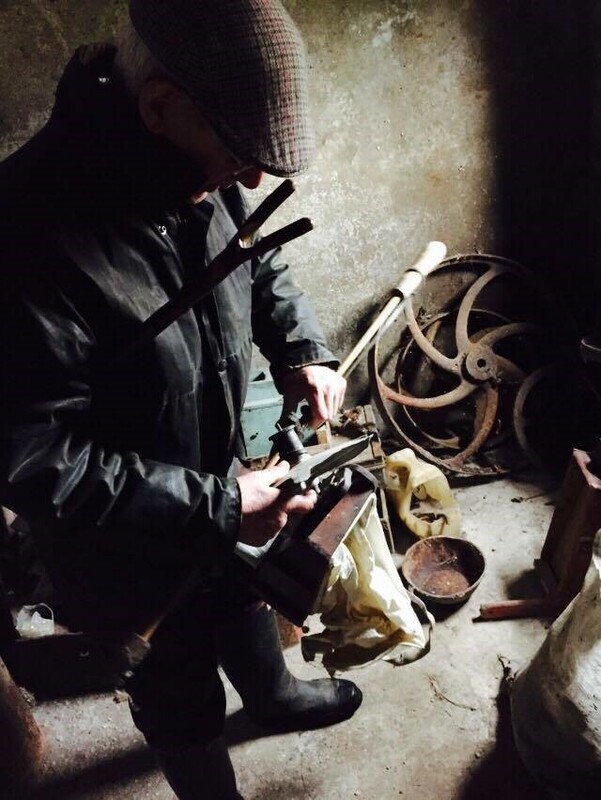 Mr Greenfield, an avid collector of farm machinery and rural heritage, also gave us a tour of his fascinating collection many items which were similar to the ones that we have at MERL. Not all of the individuals we interviewed were practising farmers. Polly Gibb is Director of Women in Rural Enterprise (WiRE). Founded in 1988 and based at Harper Adams University, “WiRE is a national business support network; promoting, supporting and developing its membership of rural businesswomen. WiRE offers practical business support which includes access to the 50 WiRE networks across the UK where women in business share expertise and knowledge, build new skills, help boost confidence and support each other to build better businesses”. Polly spoke with great enthusiasm about the diversity of businesses she now has the pleasure of representing across the UK and the importance of her role in liaising with government department in ensuring rural businesswomen’s views are represented. This week our conversations are set to continue as the Activity Plan team set off on their aptly named ‘Dartmoor Dart’. Visiting individuals across Devon, the team will be regularly updating social media so keep an eye on MERL’s facebook and twitter feeds to find out more about who they are meeting and what stories they are discovering. An update on some of the exciting projects and plans we’re working as part of our redevelopment project – and details of how you can get involved, by Phillippa Heath, Audience Development Manager. 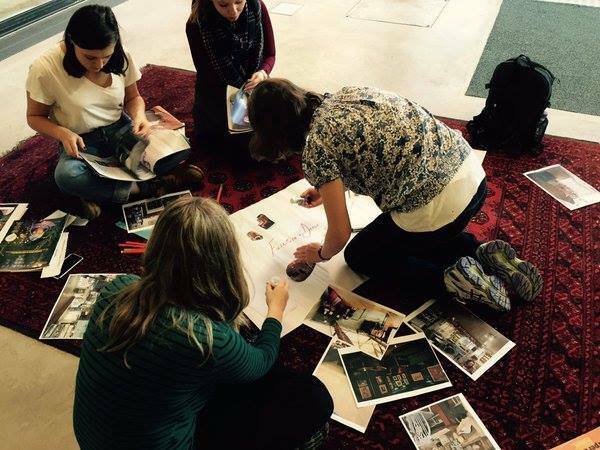 In addition to the Museum’s physical redevelopment we have also been developing our work with our diverse audiences. As well as our existing visitors, we are also keen to involve those who have yet to visit us in the museum’s work (be they from our local communities or from further afield) and are doing so through a programme of activities. 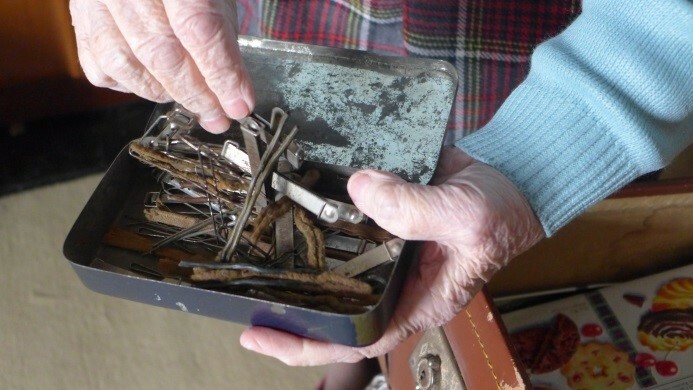 This three-year programme of projects and consultation will allow our audiences to get more involved in how MERL represents the countryside and tells the stories that illuminate its collections. 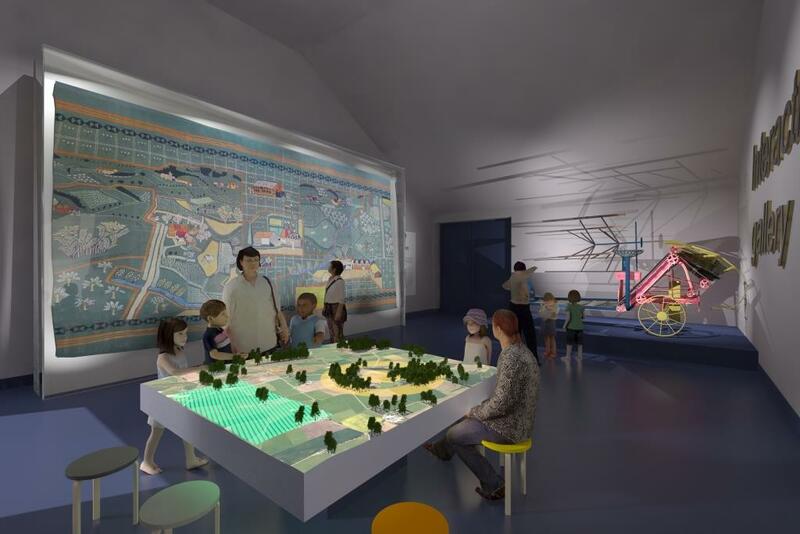 This involves establishing links with our local community, to help foster partnerships and ensure that the Museum can become a place where our diverse audiences can come together. To this end, the Activity Plan team have been out and about within Reading and the University, engaging with people and organisations and developing relationships. Our three forums are opportunities for audiences to share their views and opinions on our collections and our activity programmes. We currently have three ongoing forums – The Family Forum (next event June 3rd), the Student Panel (for those aged between 18 and 25) and The Countryside Forum (for those with a relationship with the countryside). These forums take place both on-site at MERL or off-site at community locations. 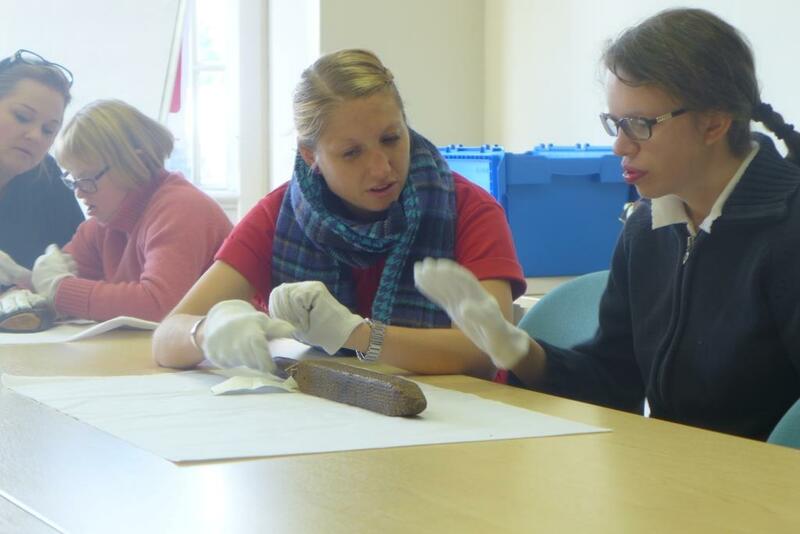 Working with a number of community partners our Hands on Heritage projects involve people accessing and responding to our collections. Through these projects we have established relationships with a variety of communities including Katesgrove Community Association, Reading Chinese Association, The Greater Reading Nepalese Community Association, Reading Mencap, the Indian Community Centre, the Elizabeth Fry Approved Premises, the Barbados and Friends Association, Reading College, The Rising Sun Arts Centre, Norcot Community Association and the Royal Berkshire Hospital. From object handling, film competitions to exhibition, gardening, music and reminiscence projects, opportunities for working and responding to our collections are wide-ranging. The Museum’s redevelopment is allowing us to build on our very successful volunteering programme, creating new opportunities for volunteering. Our new Young Volunteers programme has been established for those between the age of 14 and 18. Volunteering tasks can range from a diverse range of activities from cataloguing, marketing, events to gardening. We are always looking for individuals and groups to be involved. Please contact Phillippa at merlevents@reading.ac.uk or call 0118 378 8660 for more information. 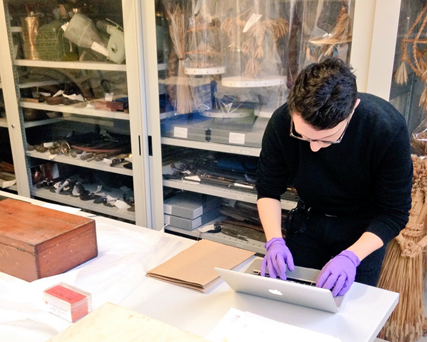 For this month’s Reading Readers blog, PhD student Alex Bowmer gives us an insight into how the MERL archives and object collections are playing a part into his research of livestock health. 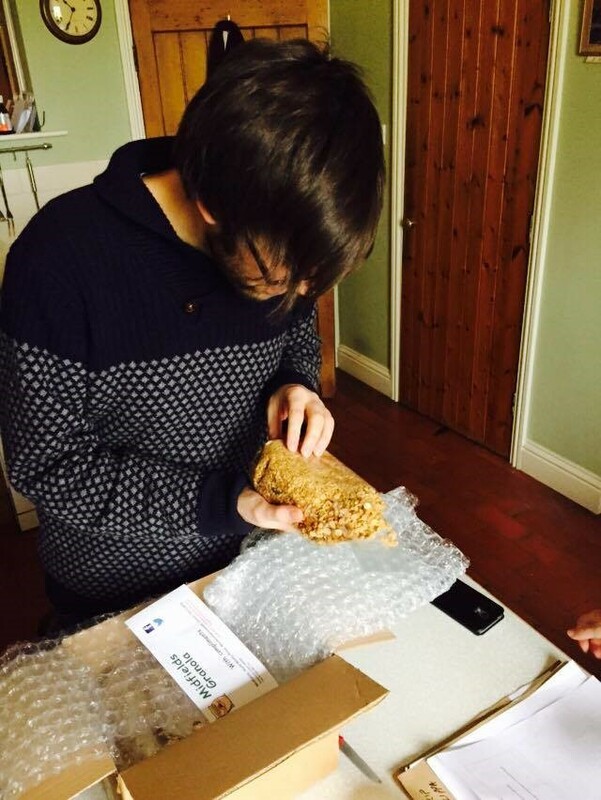 Alex examining items in the object store at MERL. As a collaborative doctoral awarded PhD candidate, I split my time between King’s College London and here at The Museum of English Rural Life. 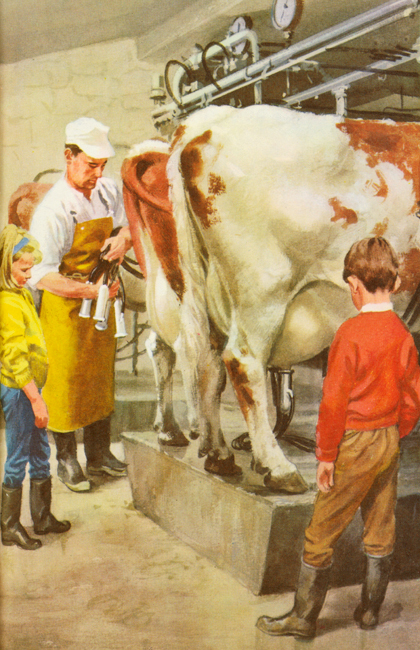 The aim of my project is to produce a history ‘from below’ of livestock health in Britain, c1920-70. 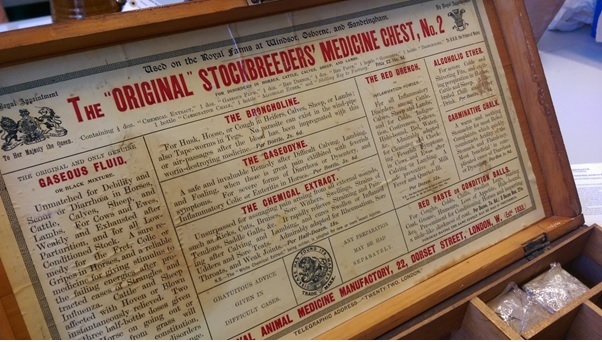 Departing from the usual historical focus on government policy and scientific experts, it aims to understand what disease meant to livestock owners and how they coped with it at a time of rapid transition in pharmaceuticals and farming systems. Traversing fields, fells, farm-yards and factory farms, it will explore farmers’ changing experiences and interpretations of disease. It will also analyse their uses of family remedies, patent medicines, modern pharmaceuticals and animal management for the purposes of disease prevention and control. As part of my research I want to answer how did these coping strategies change over time, and what factors influenced farmers’ decision-making? How did access to medical information alter disease conceptualisation? and How did attitudes to innovation affect pharmaceutical reach? The box contains various medicines used for treating animals on Royal farms at Windsor, Osborne and Sandringham up to 1937. Over the past few months I have been using both object and archive collections to further develop an understanding of how livestock owners conceptualised disease. On my first visit to MERL I was tasked with investigating and explaining the veterinary medicine collection currently held at the Museum. Some were rather dangerous to say the least! But others have generated new ideas for my research, as many human medicines appeared in a medicine chest given to me for analysis. Farm Management Survey, FR FMS. Over the past few weeks I have been travelling across from London to investigate the Farm Management Survey (FMS). The FMS was financed by the Government through the Department for Environment, Food and Rural Affairs (Defra) and undertaken by universities and colleges in England, Wales and Scotland and the Department of Agriculture in Northern Ireland. 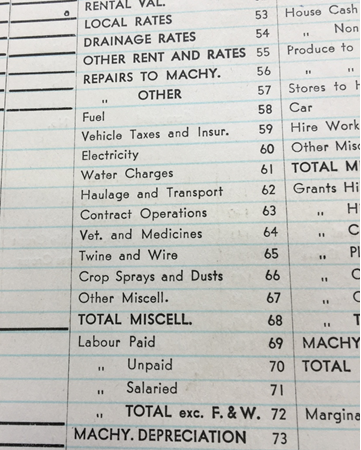 Beginning in 1936 and renamed in 1986, the survey was voluntary and concerned the collection of financial information of over 500 farms. I have been assessing the veterinary and medical expenditure of these farms to understand whether or not it increased with the advent of new pharmaceutical and chemical medicines made available to livestock owners. 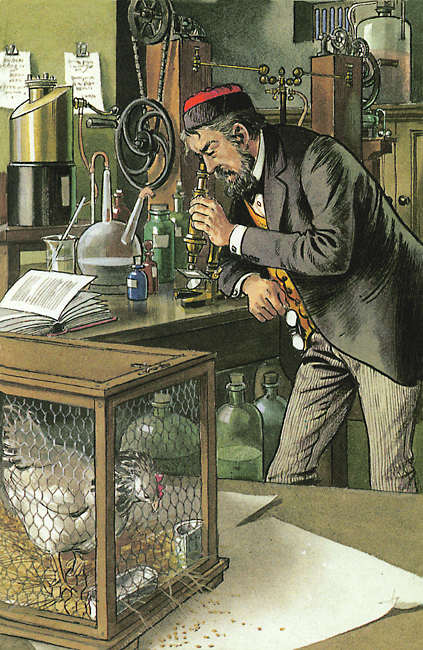 Over the coming months I am going to be situated in the reading room, using the vast collections of veterinary and public health texts in MERL’s collection, to begin to write my first chapter understanding how exposure, or lack of, to veterinary knowledge altered how livestock owners tackled concerning disease rates. 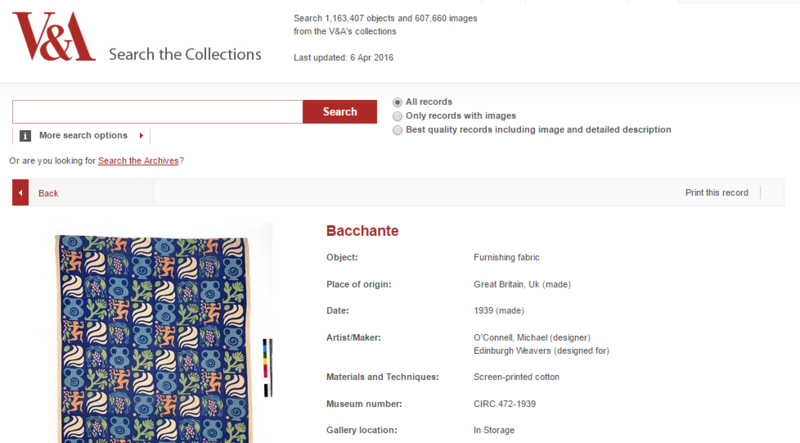 Find out more about the MERL collections here. Our reading room is open to the public and you can find more details about accessing the wealth of MERL collections here. April is World Landscape Architecture Month (#WLAM2016): an international celebration of landscape architecture. 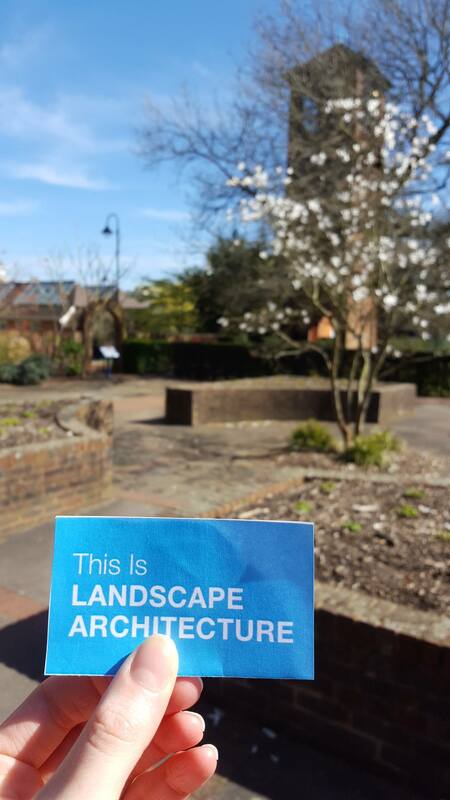 Read on to find out more about #WLAM2016 and how you can get involved. Established by the American Society of Landscape Architects (ASLA), the purpose of World Landscape Architecture Month is to celebrate landscape architecture in our public spaces. The aim is to highlight how the open, public spaces we inhabit every day are shaped by landscape architecture and the impact this has on how we feel about (and use) these spaces. WLAM is truly international – people are invited to take part in a social media campaign, by sharing images of designed spaces using the hashtag #WLAM2016. Entries have been received from all over the world via twitter, instagram and Facebook. ASLA have even created a card which you can print out to feature in your landscape photos. You can download the card here. Here in the UK the Landscape Institute is encouraging participation. 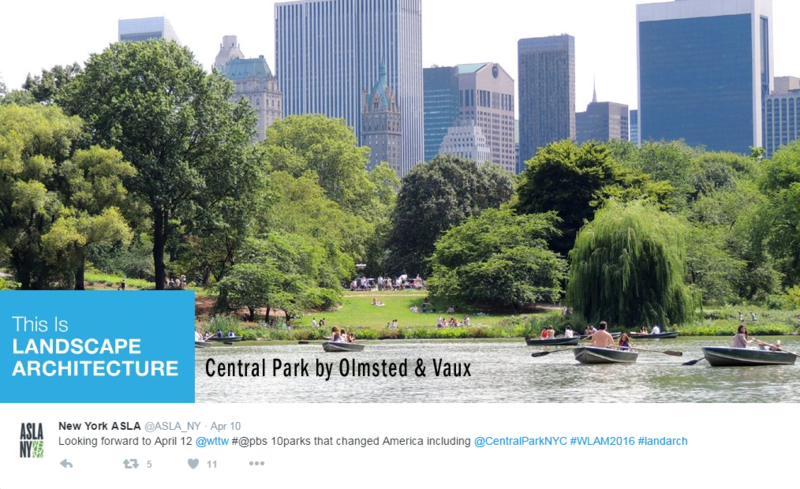 Just post or tweet using #WLAM2016. 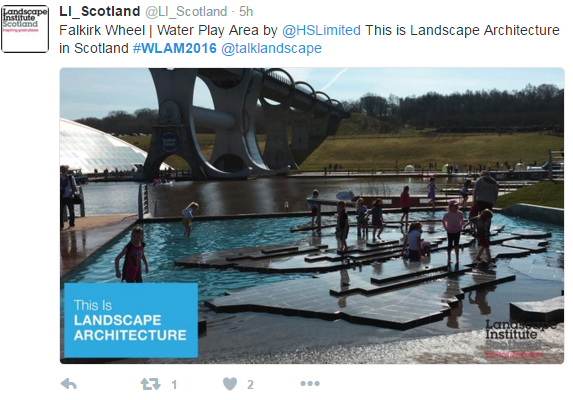 A Scottish contribution to #WLAM2016 – posted to twitter by Landscape Institute Scotland (@LI_Scotland). Though we may be the Museum of English Rural Life, as many landscape architects work on projects around the world, our Landscape Institute collections have an international edge. James Corner, who designed New York’s much loved High Line and the South Park Plaza of London’s Queen Elizabeth Olympic Park, delivered a lecture here last year. Landscape architects that we hold collections for, such as Geoffrey Jellicoe, Peter Shepheard and Brenda Colvin, completed projects in the UK and abroad. You can find our more about our Landscape Institute collections here. Take part in and follow #WLAM2016 to celebrate World Landscape Architecture Month. We’re asking you to help us decide which of our two wall hangings to display in the new Museum. Both were displayed at the 1951 Festival of Britain as part of a wider series exploring the British countryside, and have not been on public display for over 60 years. The two wall hangings which will be displayed in the new MERL (© O’Connell estate). They were designed and made by the artist Michael O’Connell (1898-1976). Described as the ‘Lost Modernist’, he was a textile artist whose style and colour typify the 1950s and 1960s. At the time he was considered stylishly bold, brash and modern, but his work is still relatively unknown. Michael O’Connell while in Australia. 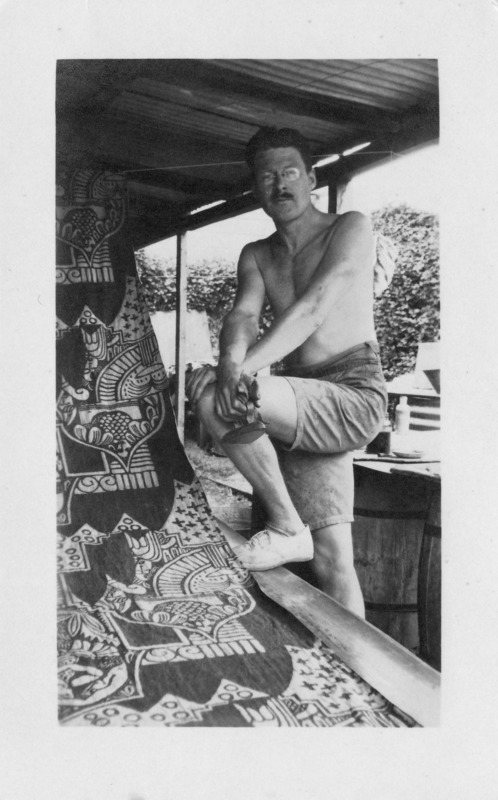 Artistically, O’Connell found his feet in Melbourne, Australia, where he honed his craft skills by building his own house in 1923, something he was forced into after his previous home (a tent) was condemned by a health inspector. His romantic lifestyle on the outskirts of Melbourne society, often journeying into the Australian bush to paint and draw, was a far cry from his upbringing in Dalton, Cumbria. His previous aim was to study Agriculture, but his artistic talents were never in question: when held as a prisoner of war in the First World War, one of his guards complimented his work and encouraged him to pursue a career in it. It was also in Australia where O’Connell hit upon various pioneering methods of dying fabric with his wife, Ella Moody, both of whom were prominent in the Australian Arts & Craft Society. They returned to England in 1937 and developed a close working relationship with Heal’s of London, who proved instrumental after the Second World War in supplying fabric for the Festival of Britain wall hangings. 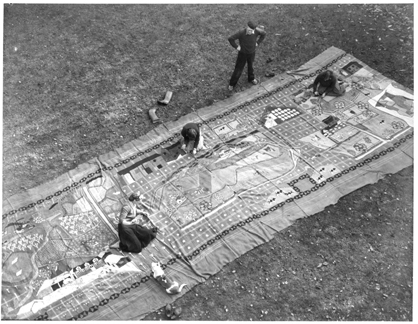 Michael O’Connell overseeing work on the Festival of Britain wall hanging. O’Connell’s commission required wall hangings to decorate the Country Pavilion at the Festival of Britain, held in May-September 1951. For the hangings themselves, O’Connell had to reflect the versatility and variety of farming in Great Britain, and so he took a tour of the nation, translating what he saw and experienced into his art. The result are seven hangings covering most of Great Britain, representing the distinctive character of our regions and providing an artistic snapshot of the state of British farming in the early 1950s. After the Festival of Britain the popularity of Michael’s work increased and he received commissions to create murals for public buildings, restaurants, factory canteens and showrooms. His work was exhibited in New York, Melbourne and London. In the 1960s, he began to travel widely and to teach his techniques in art schools. He also worked with architects, producing murals for universities and churches. In 1970, a devastating fire destroyed his workshop, most of his notebooks and records, and badly damaged his adjoining house. With the help of students and friends the property was rebuilt, but in the following years his eyesight began to fail. In 1976, he was found dead from self-inflicted gunshot wounds. The V&A Museum also holds multiple pieces by O’Connell. His work lives on in museum collections in Australia and the UK. While the MERL holds the Festival of Britain wall hangings, the V&A museum also has a large collection of his early work. Have you voted on which wall hanging to display yet? Here at the MERL we have a problem. We need to decide which of our two enormous, beautifully decorated wall hangings to display, and we’d like your help. 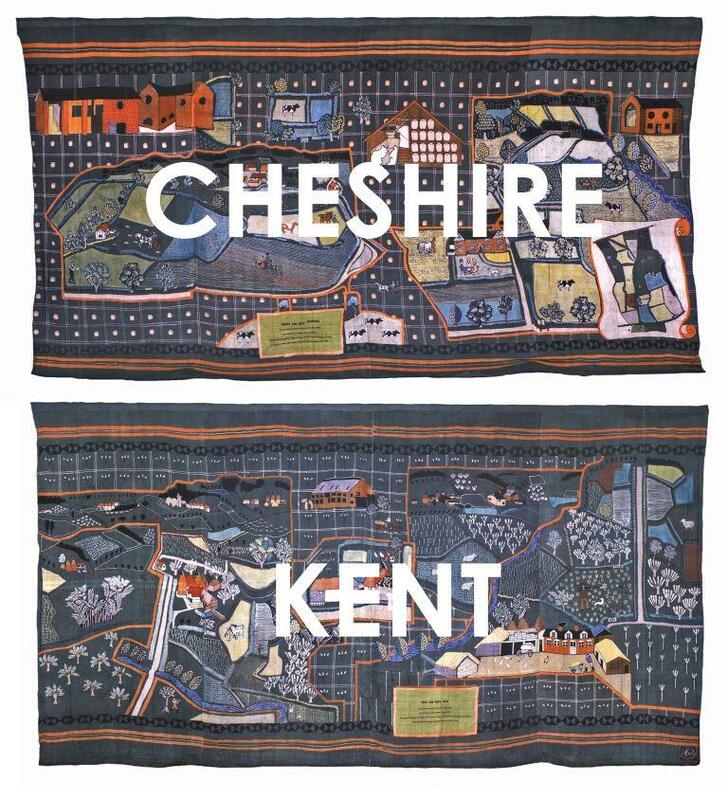 Please note: The text ‘Cheshire’ and ‘Kent’ is superimposed digitally and does not appear on the original wall hangings. The wall hangings are two of seven which were originally displayed at the 1951 Festival of Britain, and were made by the ‘lost modernist’, Michael O’Connell. Both are a snapshot of a rapidly vanishing way of life in post-war England. One depicts Cheshire, and the other depicts Kent. They have been in our stores for 65 years, and only seen by a few researchers on request. The wall hanging will be displayed in a bespoke case measuring 7×3.7 metres in our new extension. The choice of which to display first is not one to be taken lightly, as it will be displayed for five years before being replaced with the other. The chosen wall hanging will be the centrepiece of the new museum. These hangings encapsulate the messages we want to share with the public: that the English countryside is beautiful, varied and personal. To stand in front of one of O’Connell’s wall hangings is to be dwarfed. You may first take a moment to admire the craftsmanship and artistic skill that went into such a massive undertaking. The background of each hanging is a convenient deep green, the common colour of the English countryside. You then take in the detail – perhaps some of the larger buildings, a cow or a field. With closer scrutiny you will notice the woman feeding her chickens, the juxtaposition of heavy horses and tractors, or the cheeses stacked in an old barn. 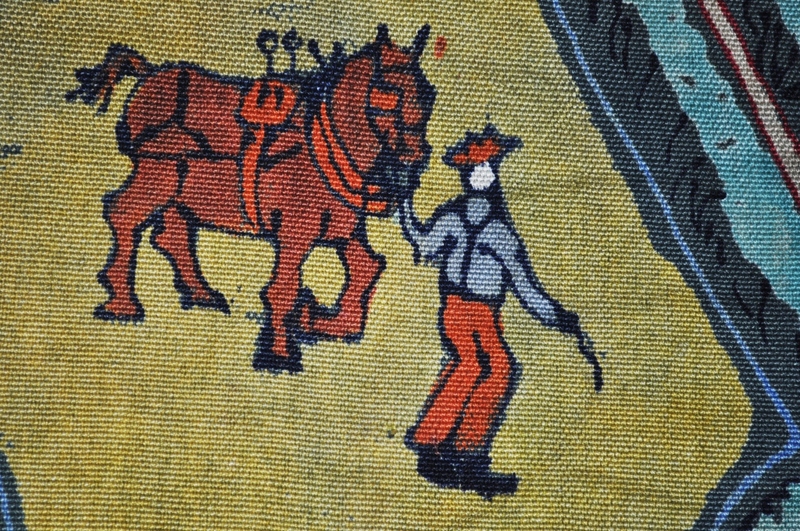 Each wall hanging is packed with detail and snapshots of rural life. Nothing is an accident. O’Connell travelled the length and breadth of Britain, immersing himself in each region’s traditions, architecture, crops, animals and people to produce these hangings. Each one is a special tribute to the different ways of rural life in Britain, and we honestly cannot choose between the two which have been conserved and are ready to be displayed. Over the next few weeks we will be exploring each hanging, the man who made them, and the Festival of Britain. As you learn more about each one, we will ask you to vote for the one you would most like to see displayed and, when we reopen later this year, you will be able to see the selected county. Chalk or cheese, Cheshire or Kent, which will it be? Follow our the #VoteCheshire and #VoteKent campaigns on twitter and you can even join us at a special Museums at Night event on 11th May to help you decide how to vote.